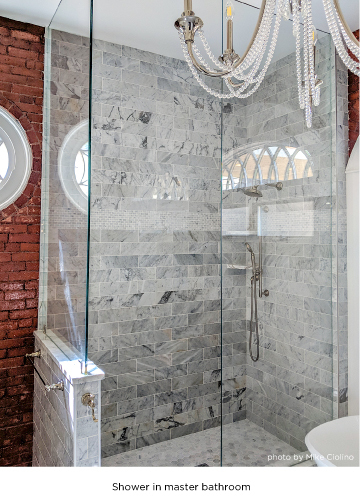 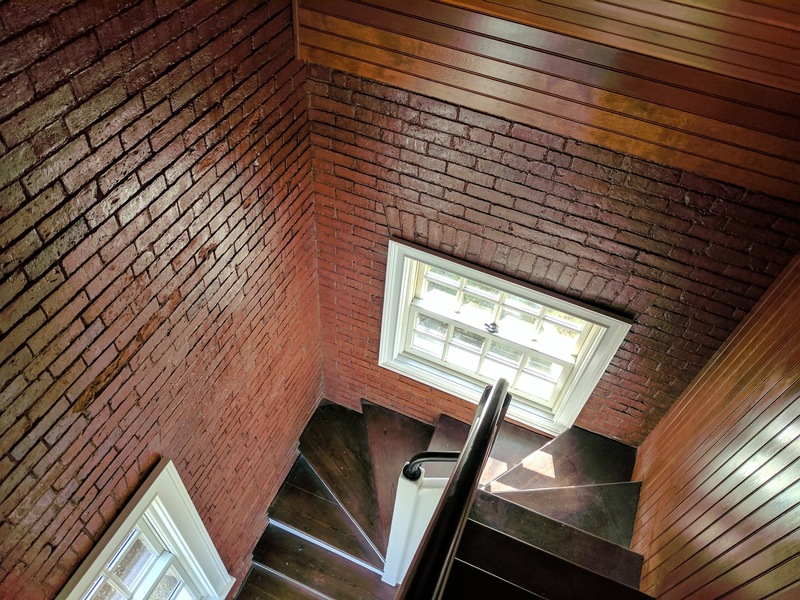 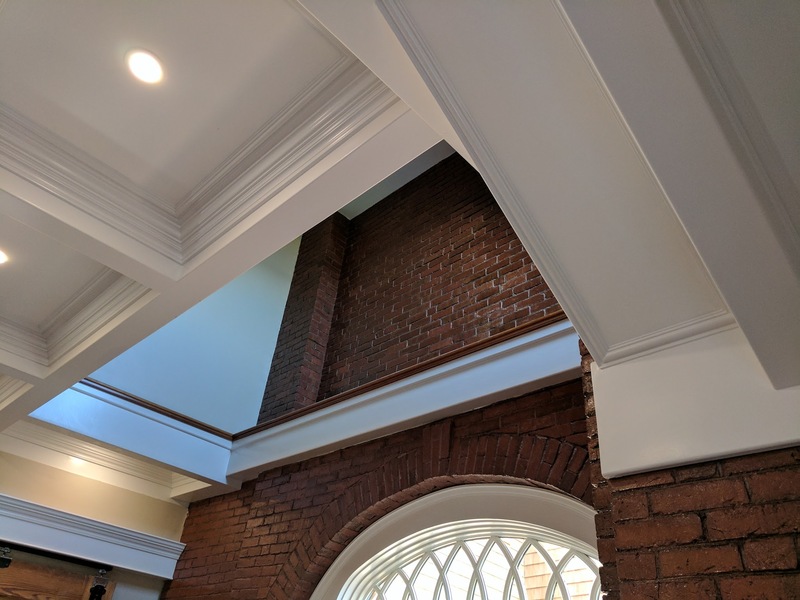 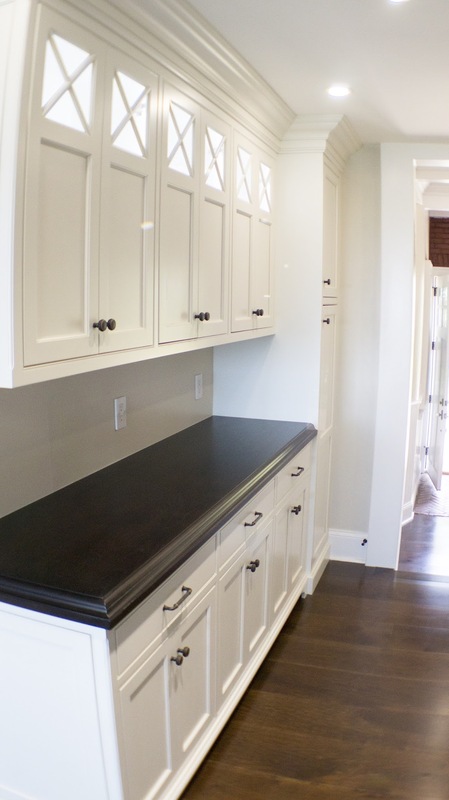 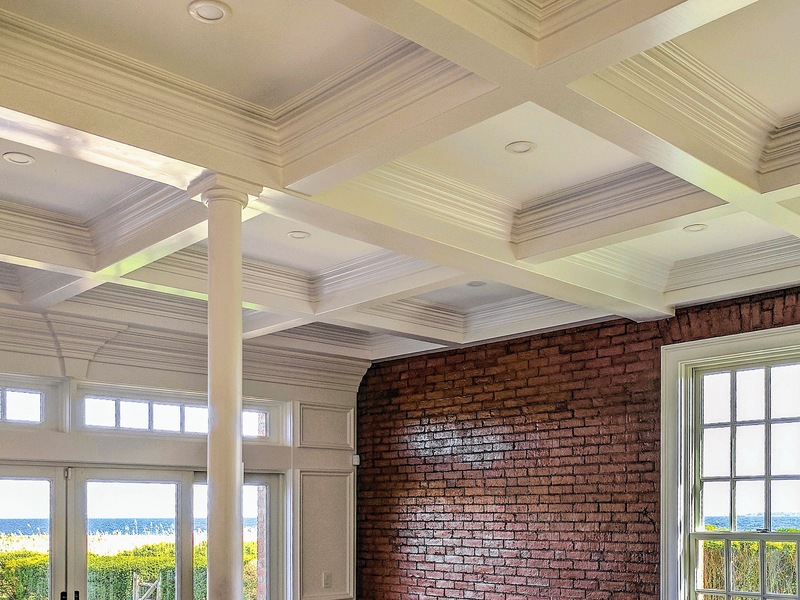 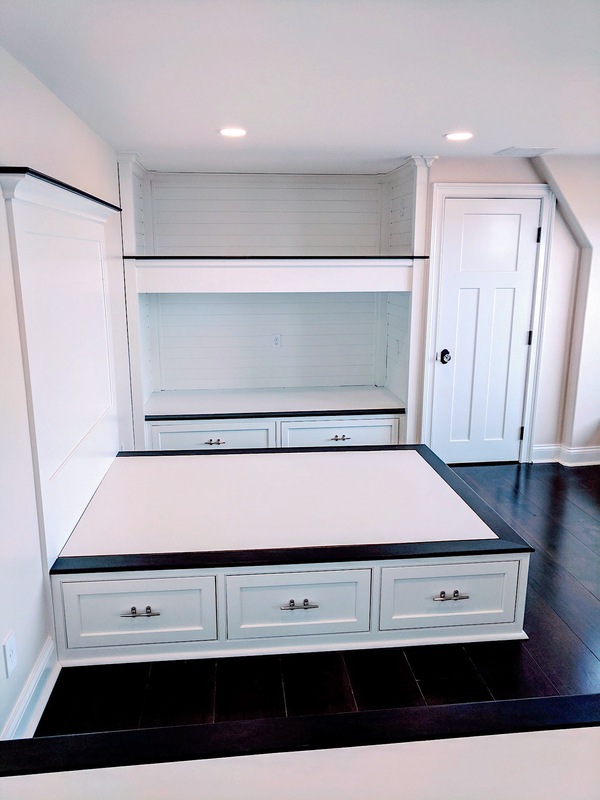 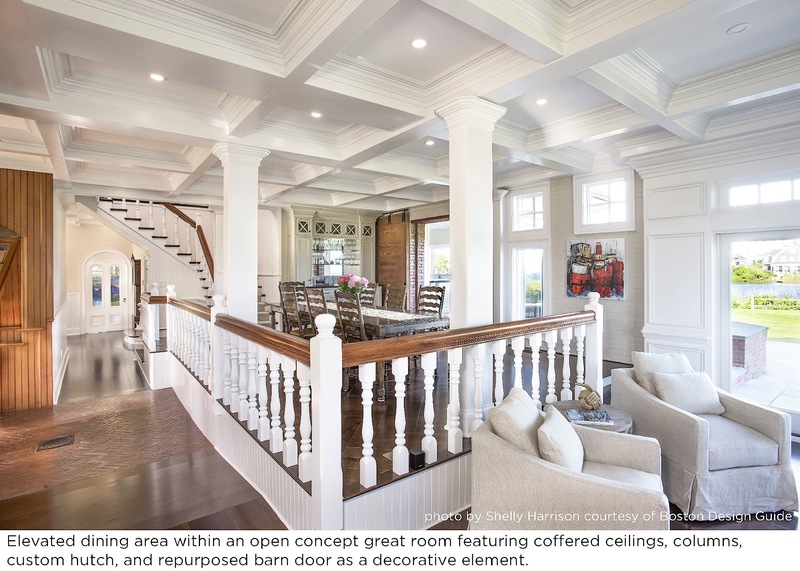 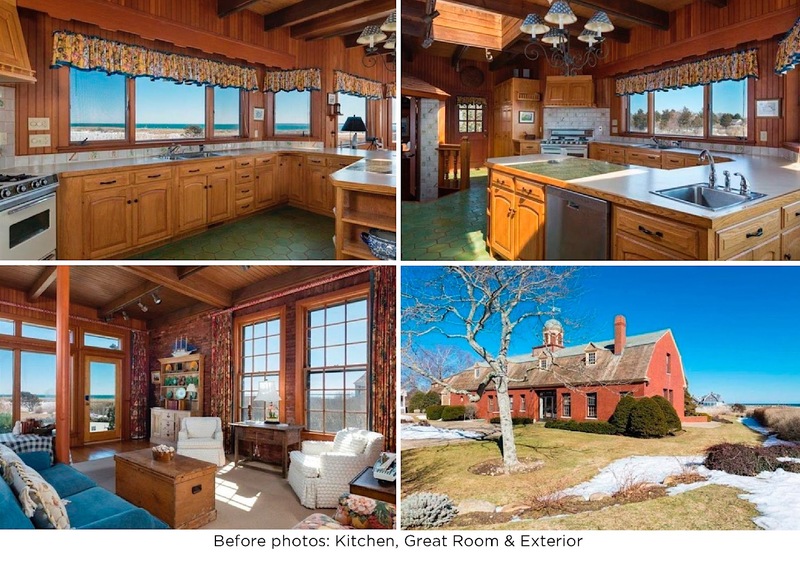 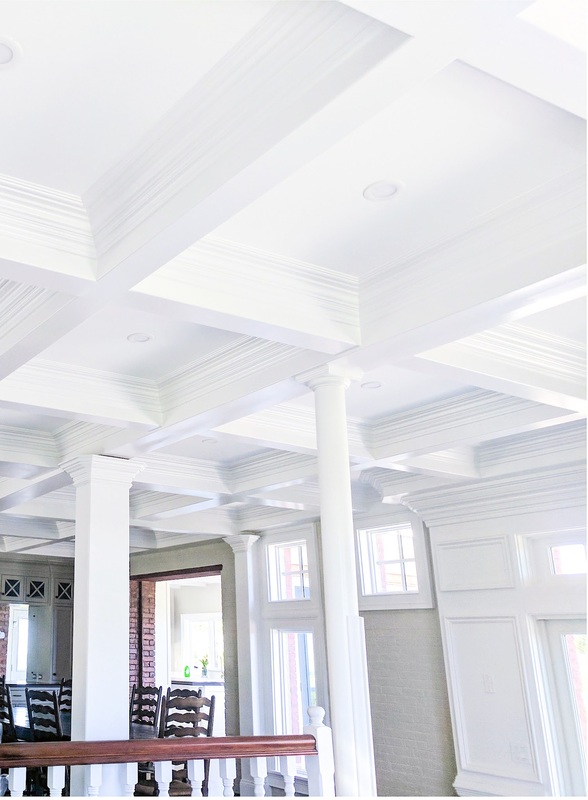 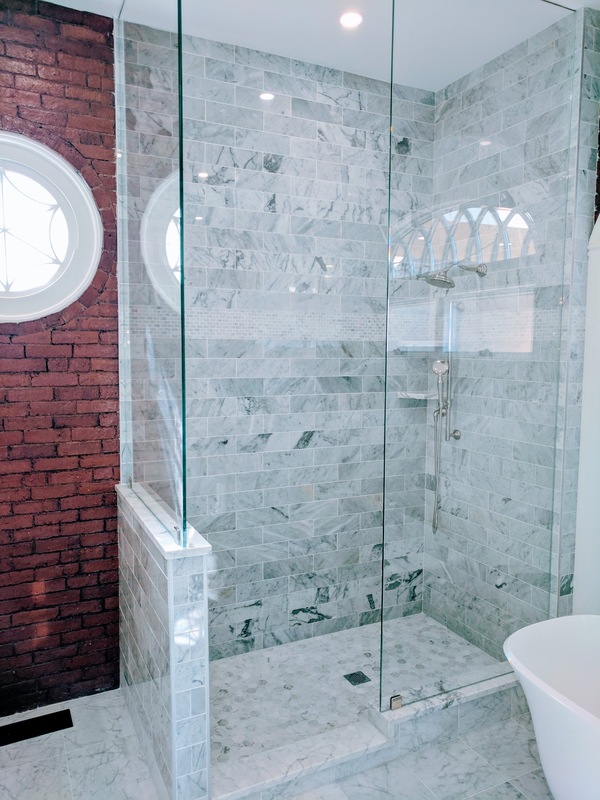 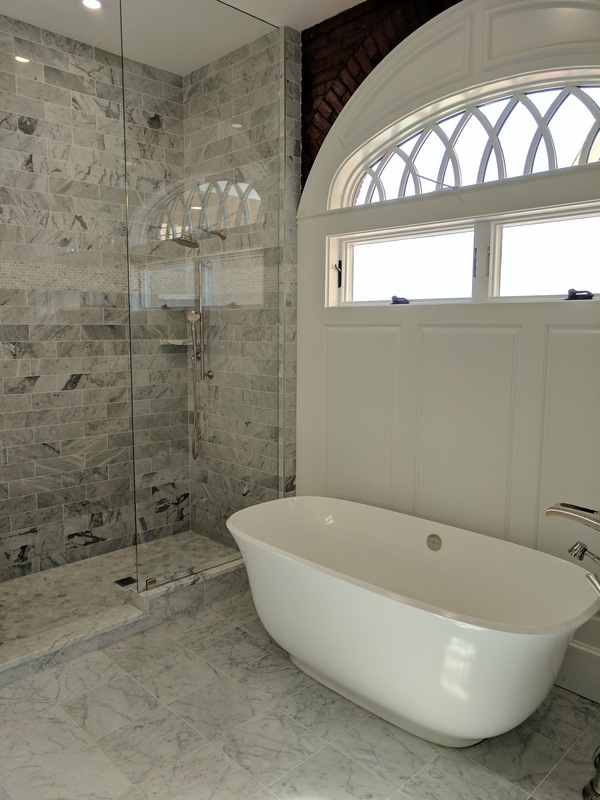 Scope ~ Permitting for Historic Renovation, Excavation, Architectural Design, Multiple Kitchens & Bath Designs, Custom Architectural Cabinetry & Millwork, Flooring, Windows, Doors, Lighting. 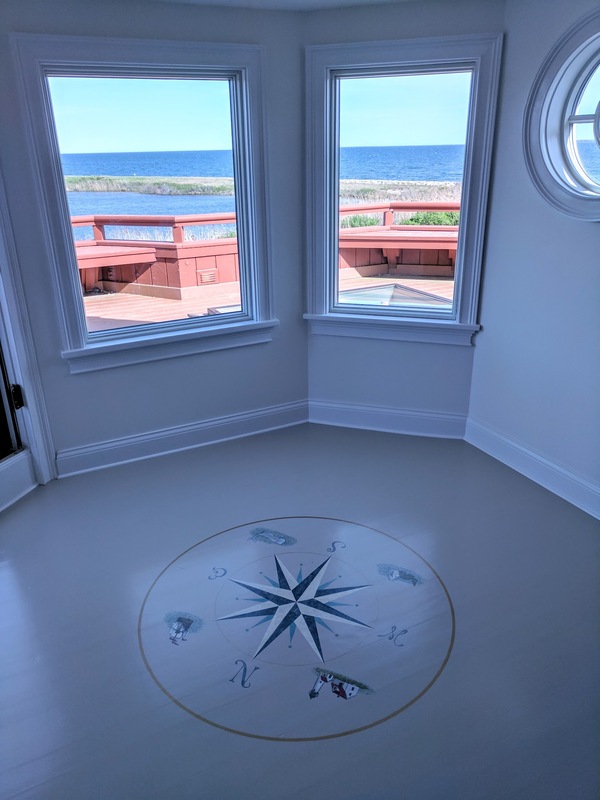 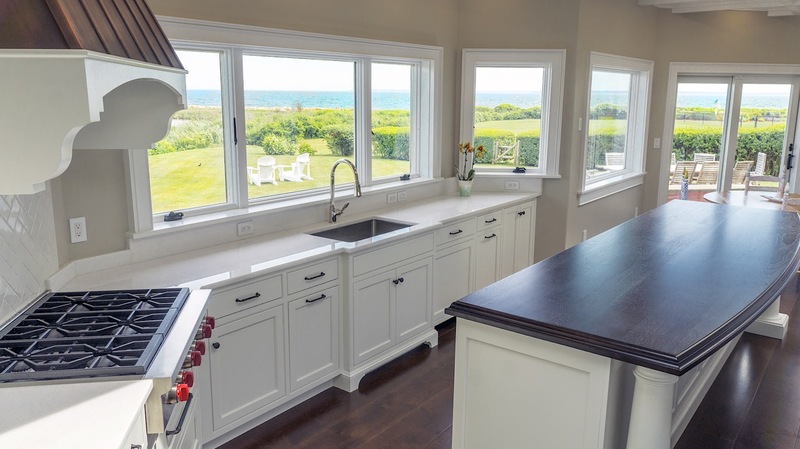 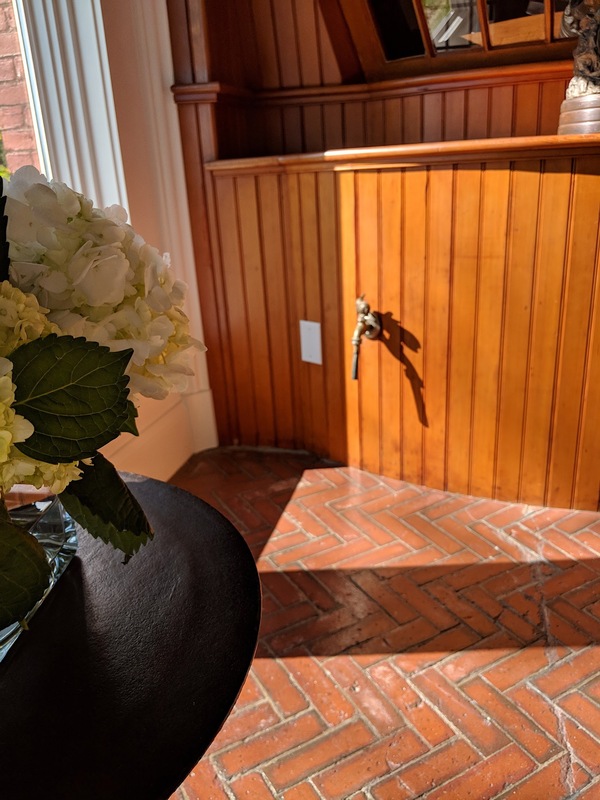 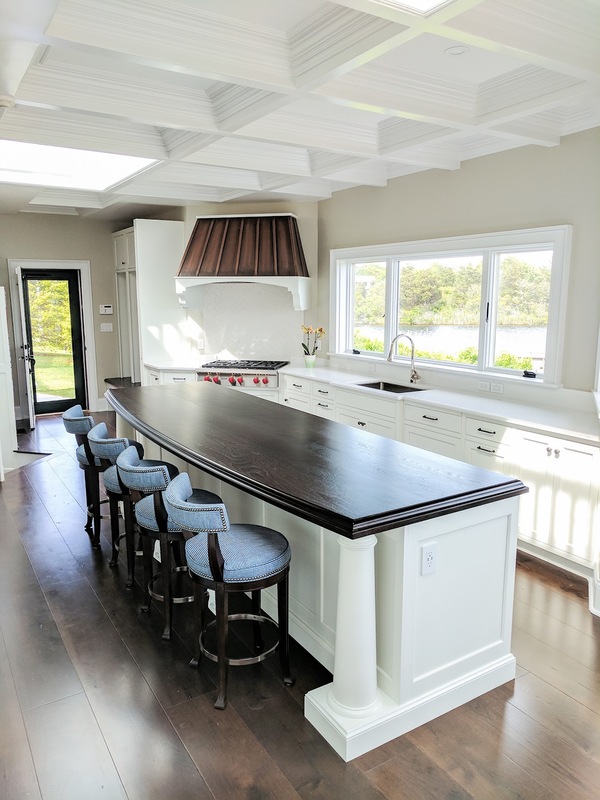 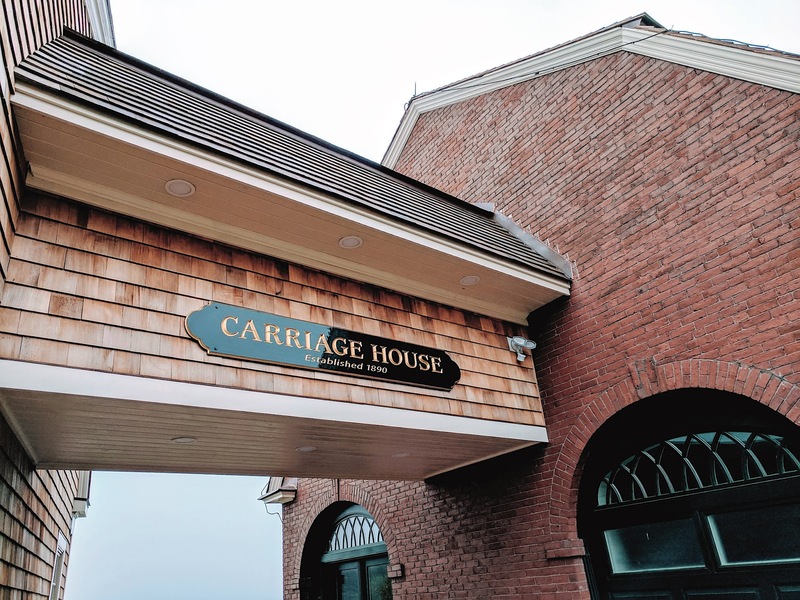 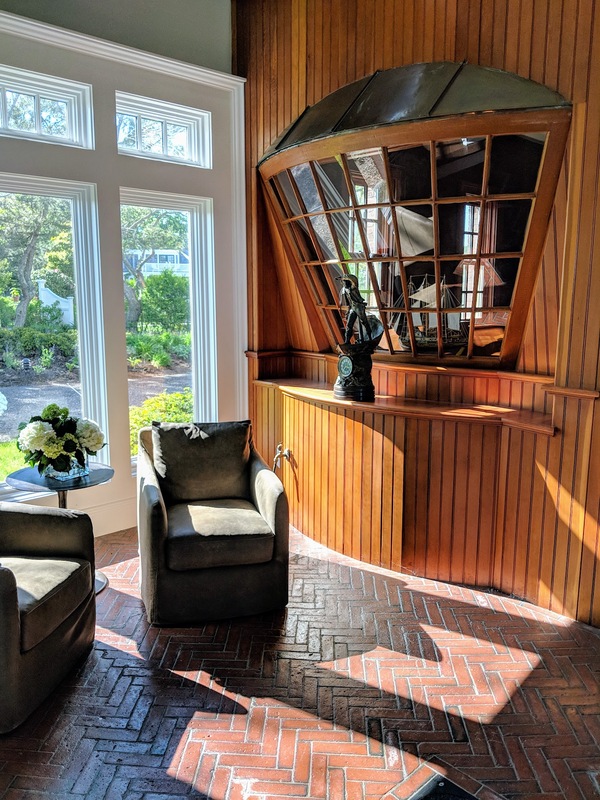 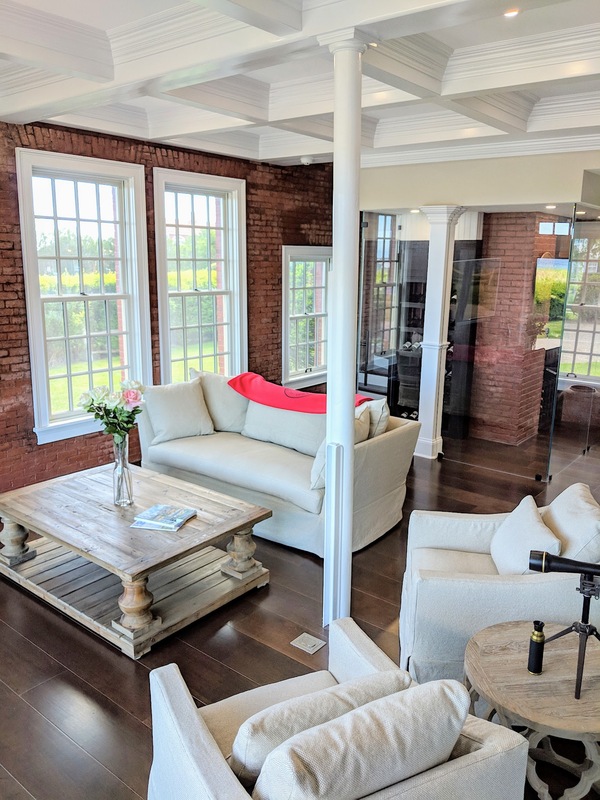 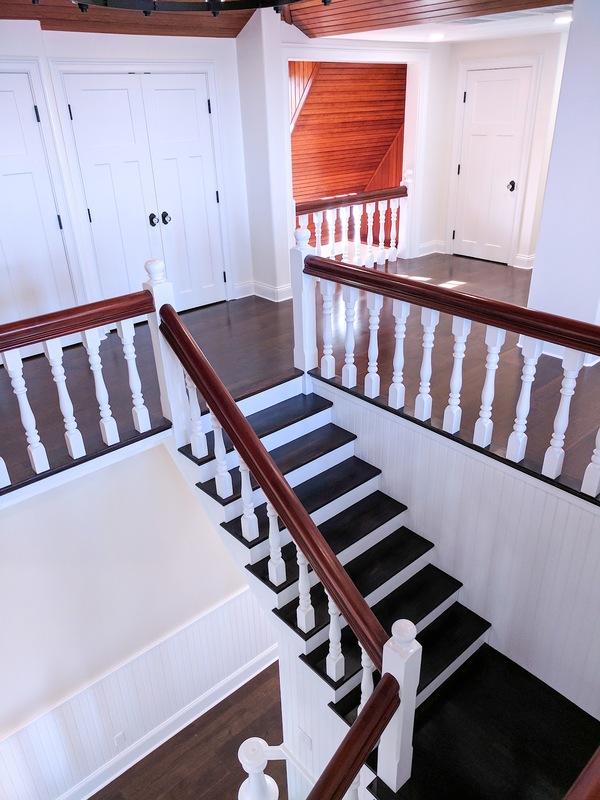 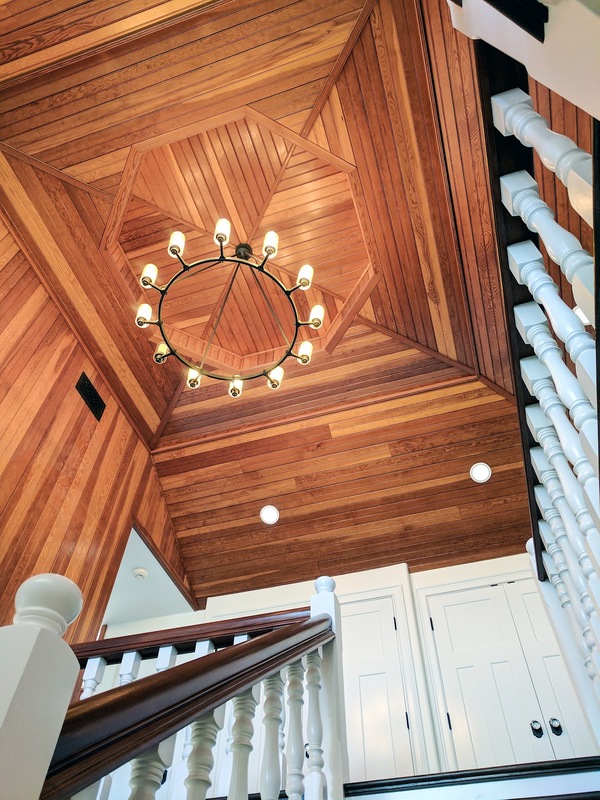 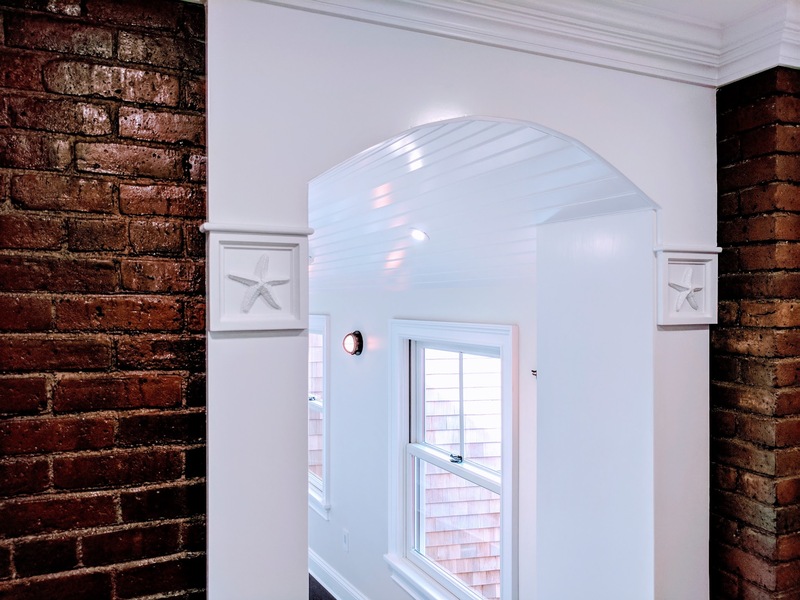 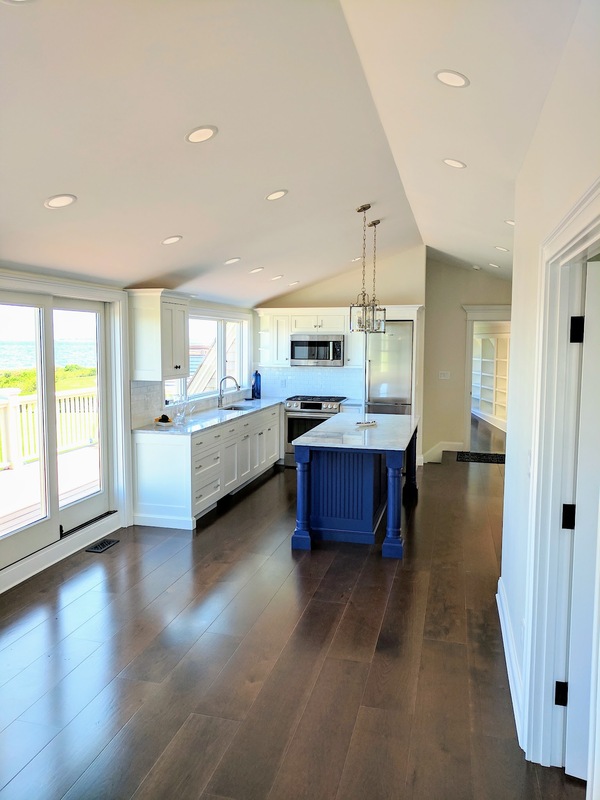 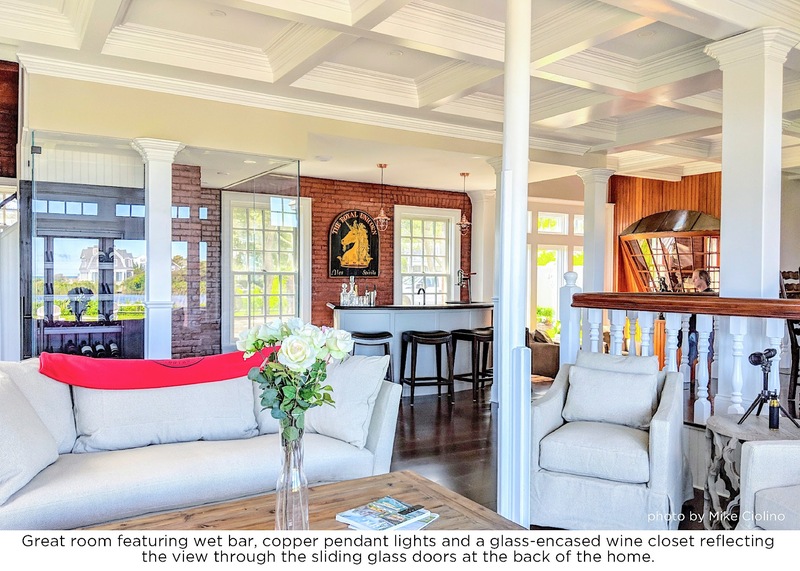 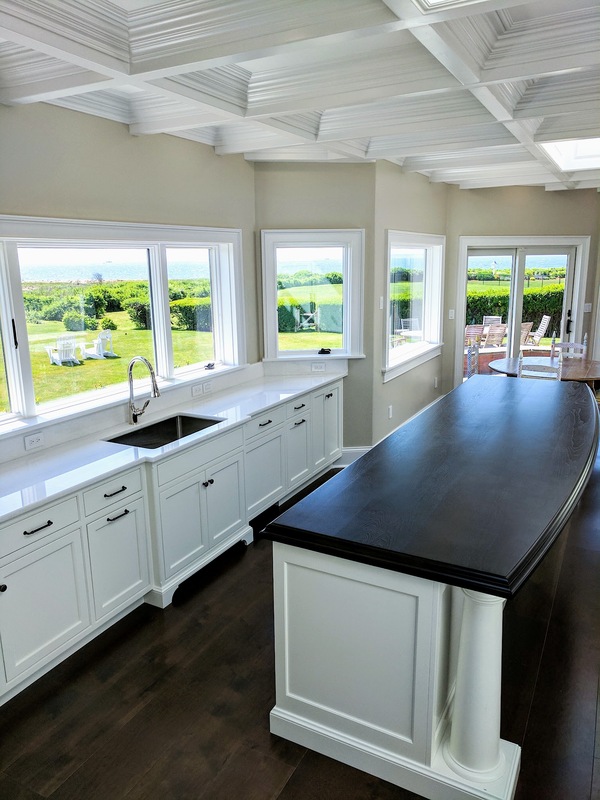 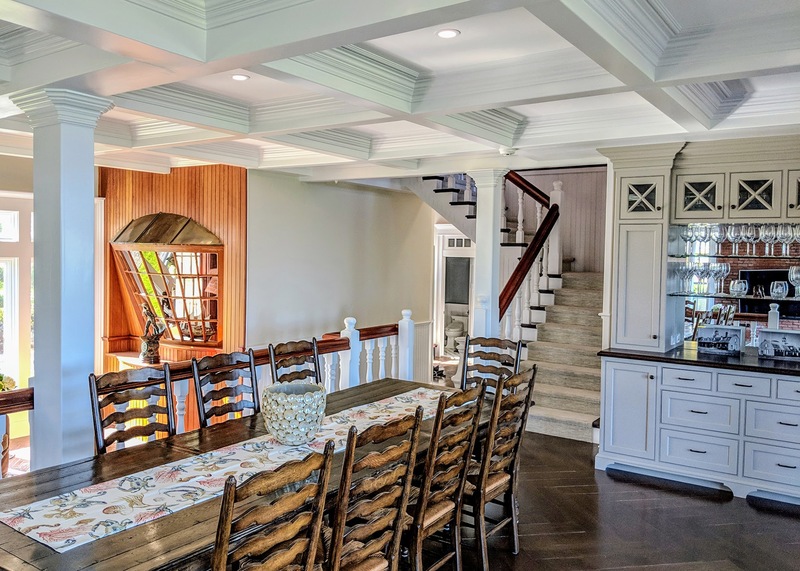 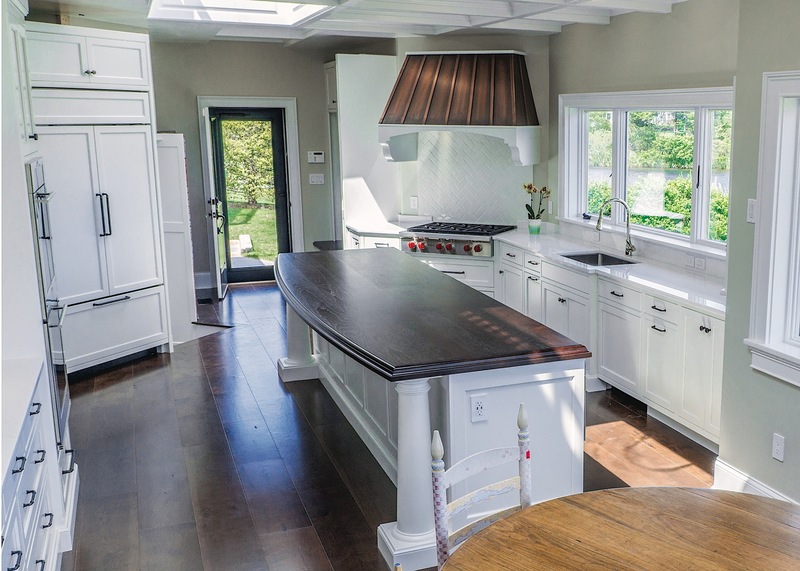 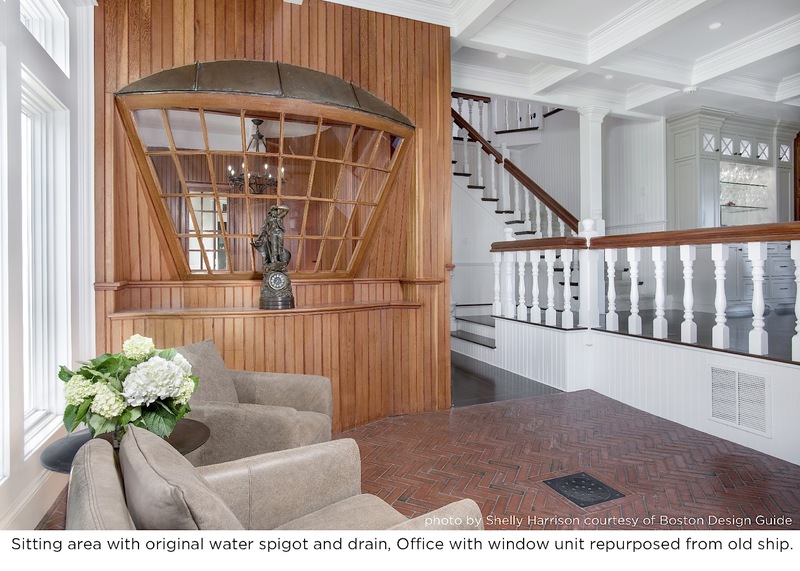 Completed in 2018, the Waterside project in Falmouth, MA was a full renovation of a historic 1860’s carriage house into a spectacular summer retreat for a family who spends nine months of the year overseas. 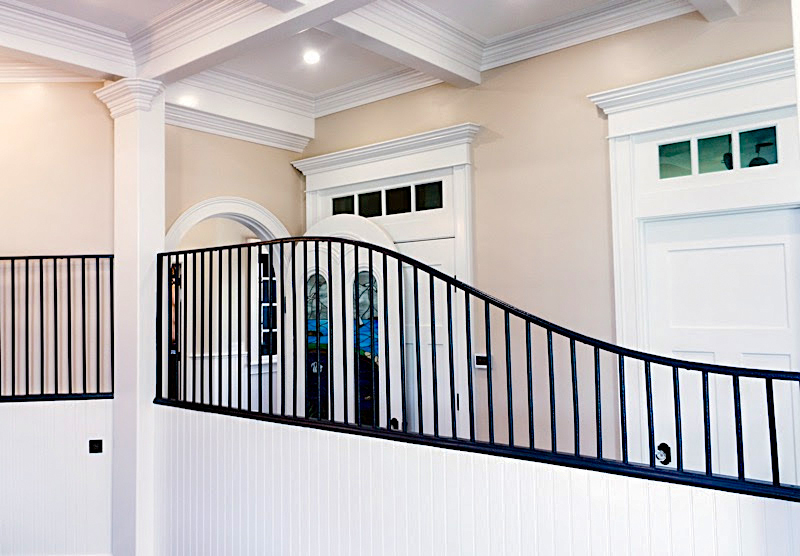 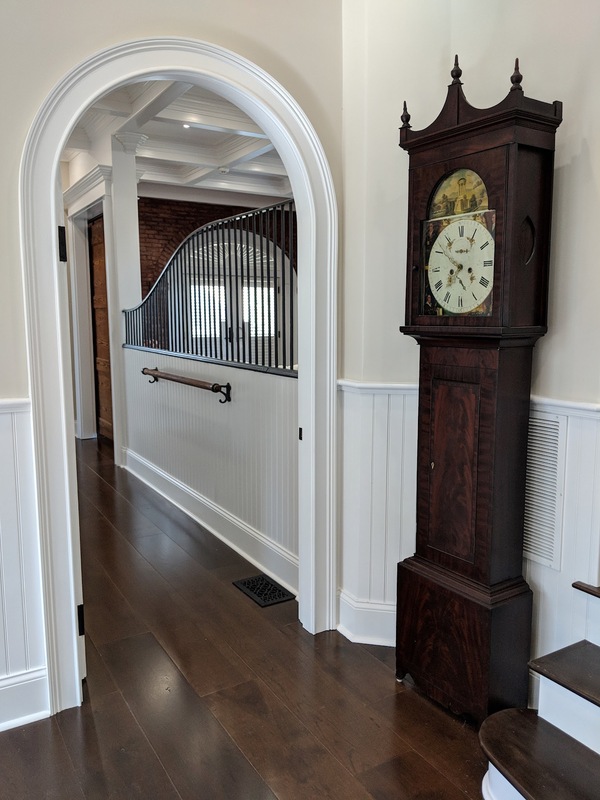 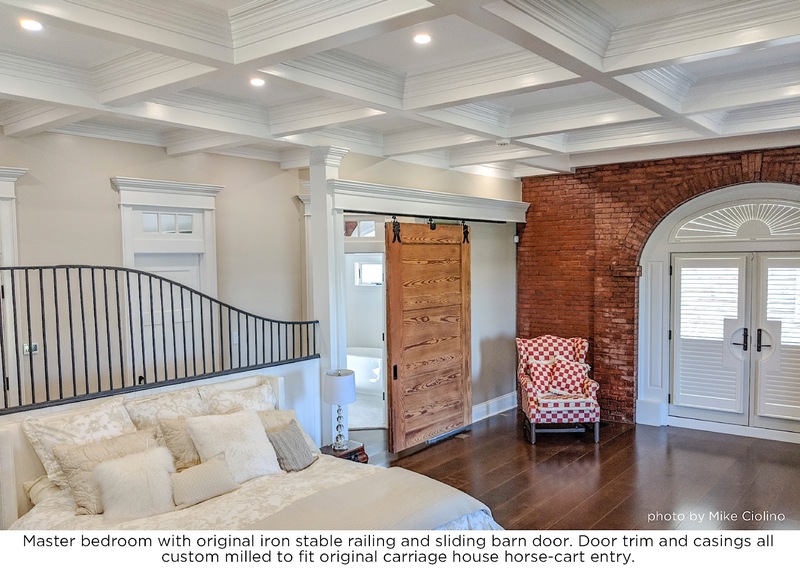 What made this project spectacular is the care and detail that went into the repurposing of architectural design elements such as barn doors, rod-iron horse stall dividers, and even a copper water spigot from the original structure that was used to house the family’s horses. 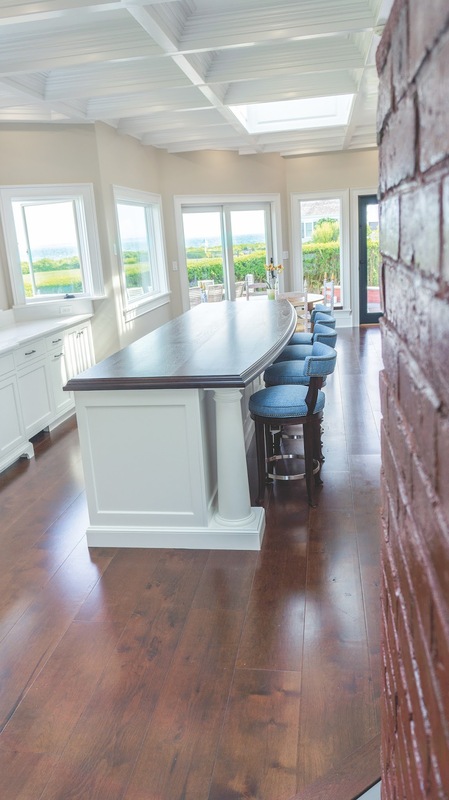 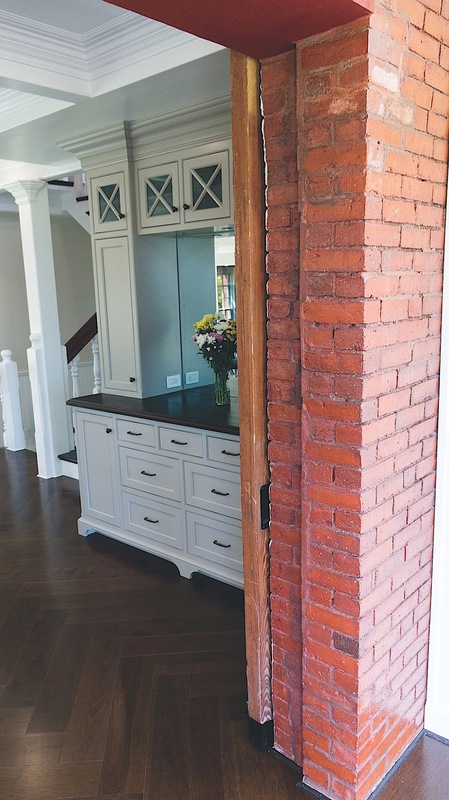 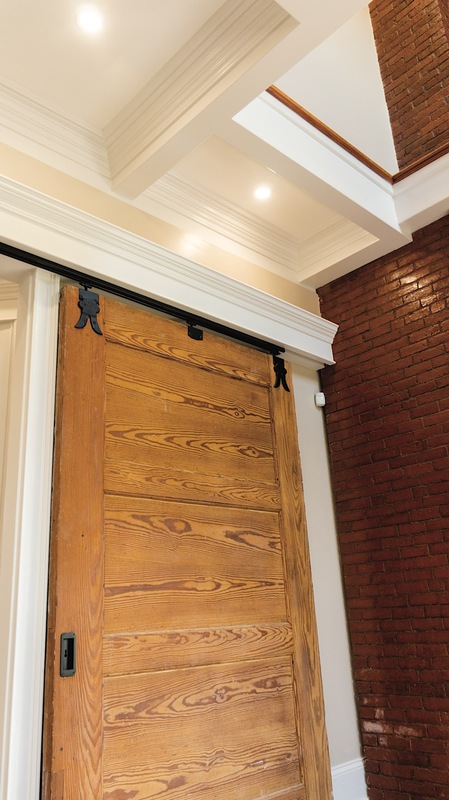 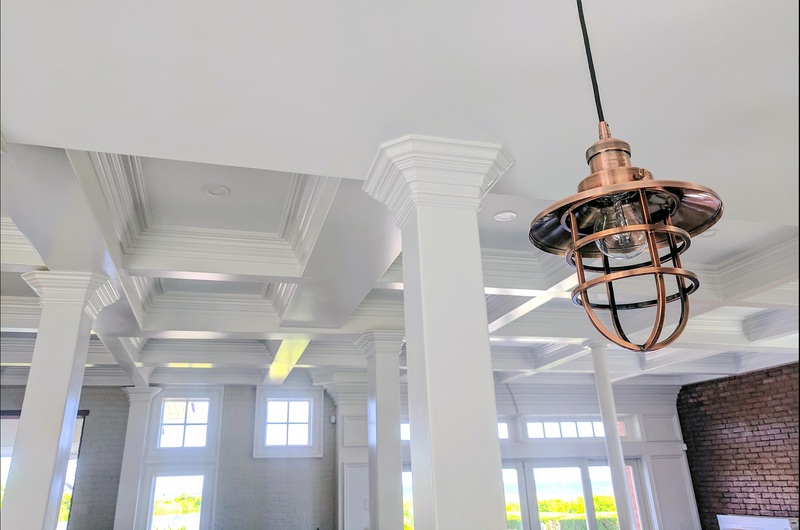 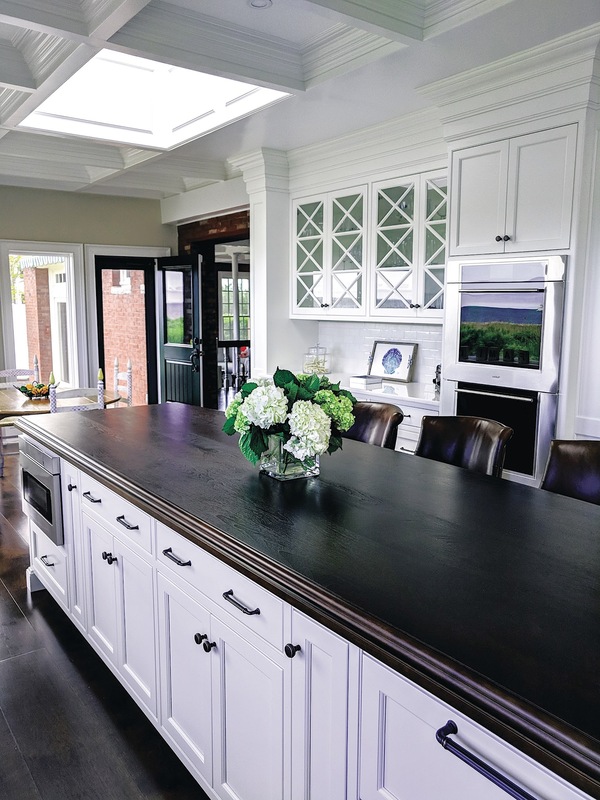 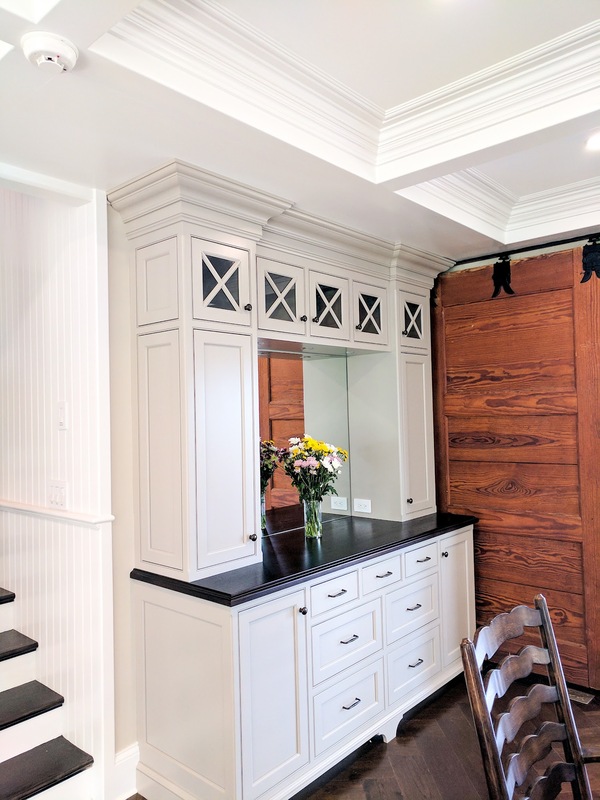 Working with our designers, homeowners chose beautiful natural materials and finishes that work well with the original rustic, brick and rod iron elements such as a copper range hood and pendant lamps while also maintaining a contemporary updated feel. 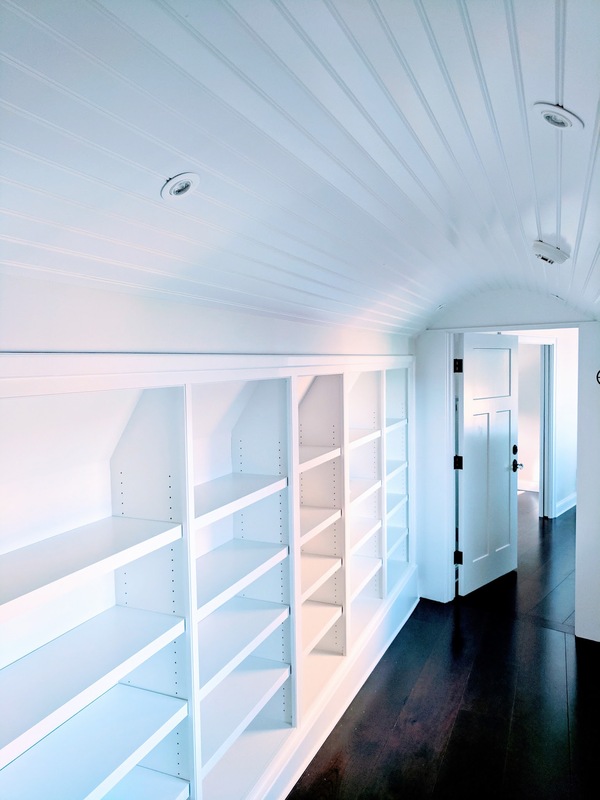 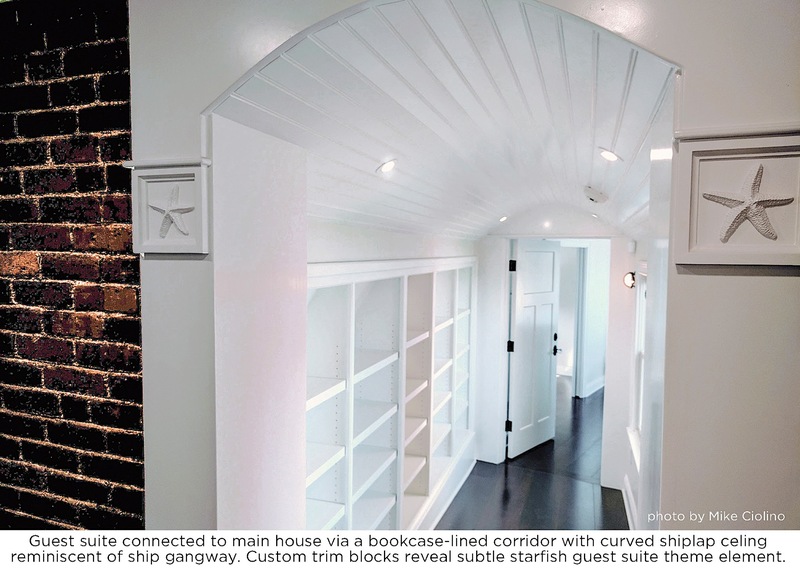 A guest suite is connected to the main house with a bookcase lined corridor reminiscent of a ship’s gangway. 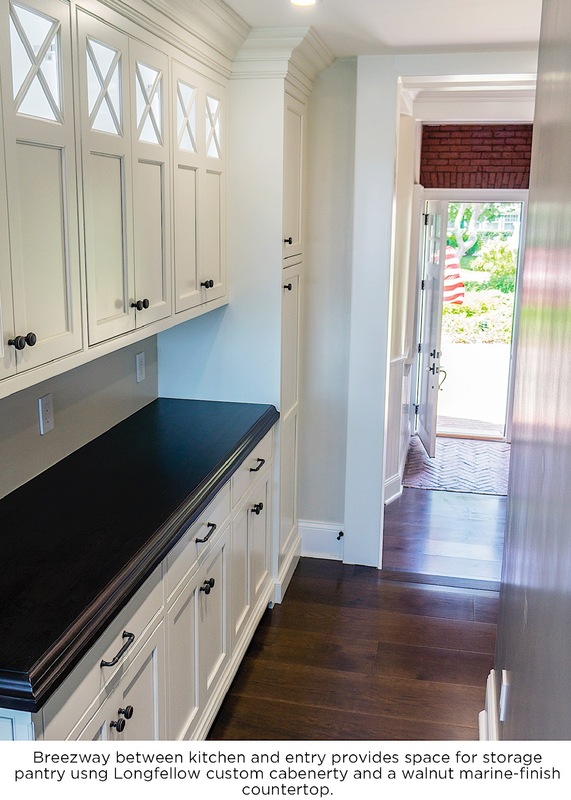 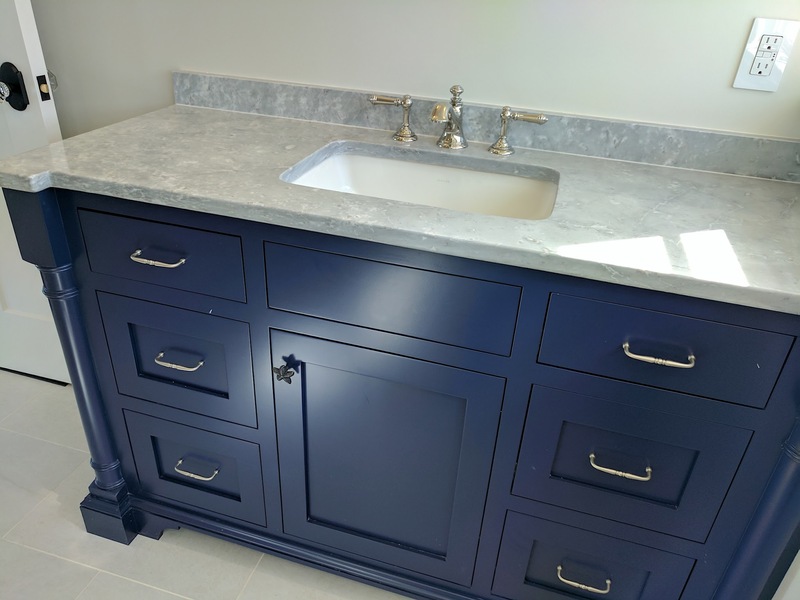 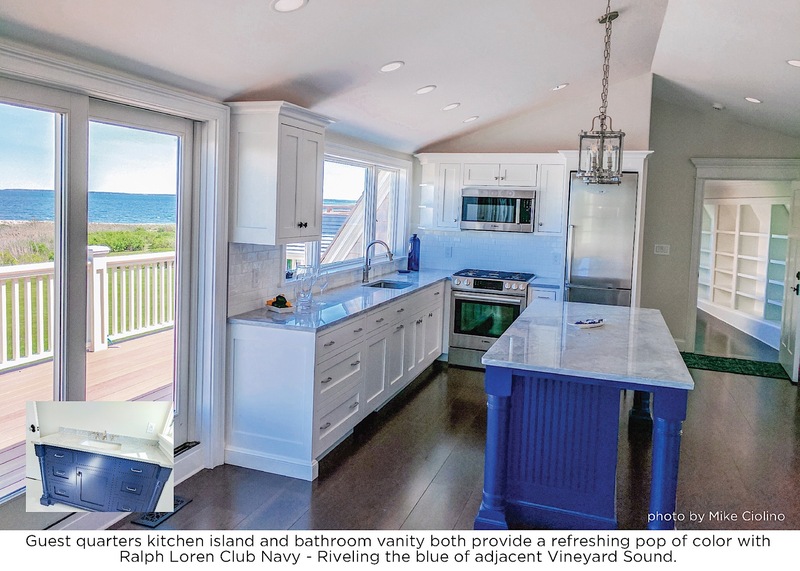 The guest kitchen island and bathroom vanity both provide a refreshing pop of color with Ralph Loren Club Navy – Riveling the blue of adjacent Vineyard Sound. 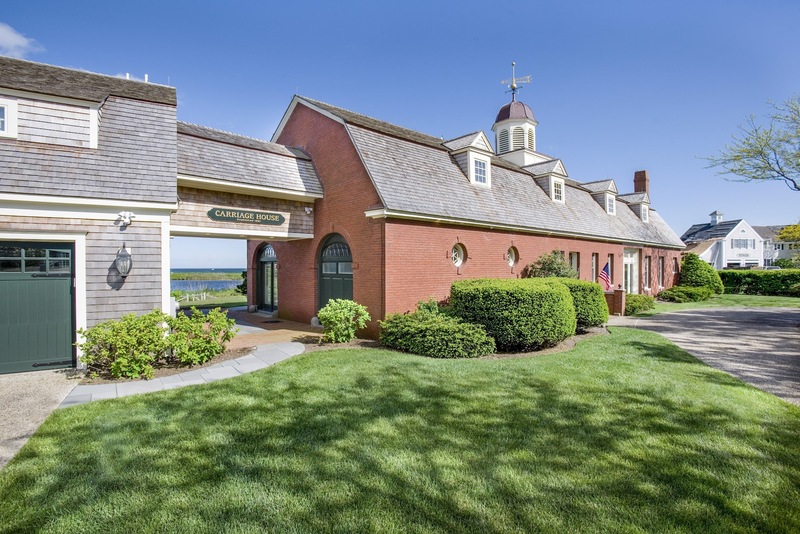 James Madison Beebe was a dry goods magnate from Boston and in 1866 Eben Jordan of the famed Jordan Marsh bought his business. 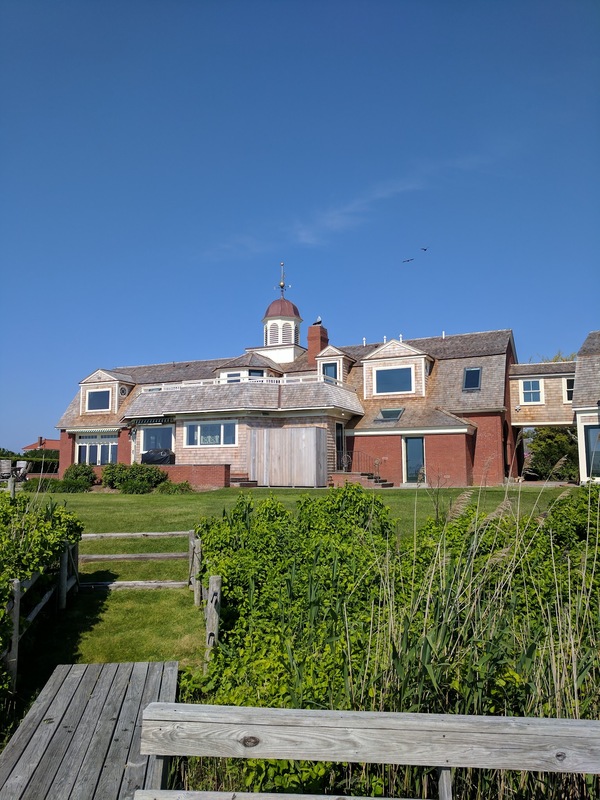 James Beebe passed on in 1875 and his children created a hundred acre farm on Shore Street and built Waterside in 1876 overlooking vineyard sound. 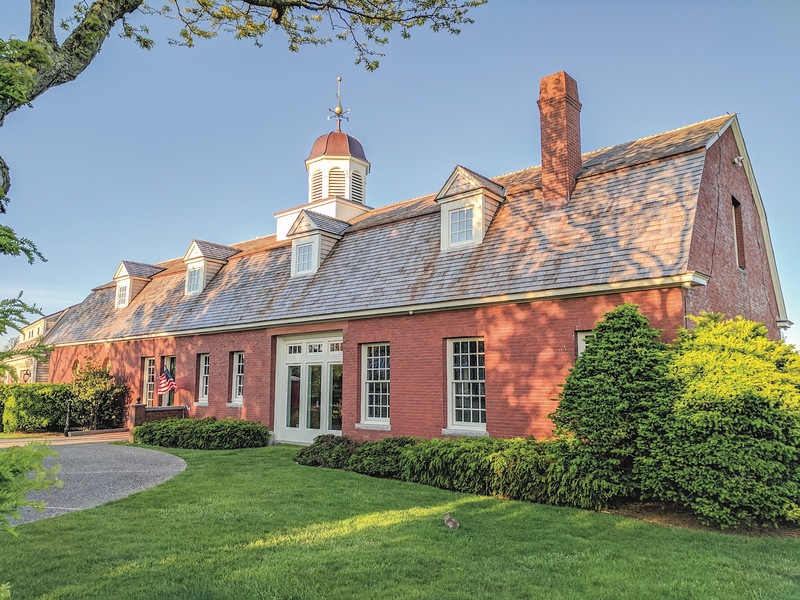 The farm was broken up for development in 1932. 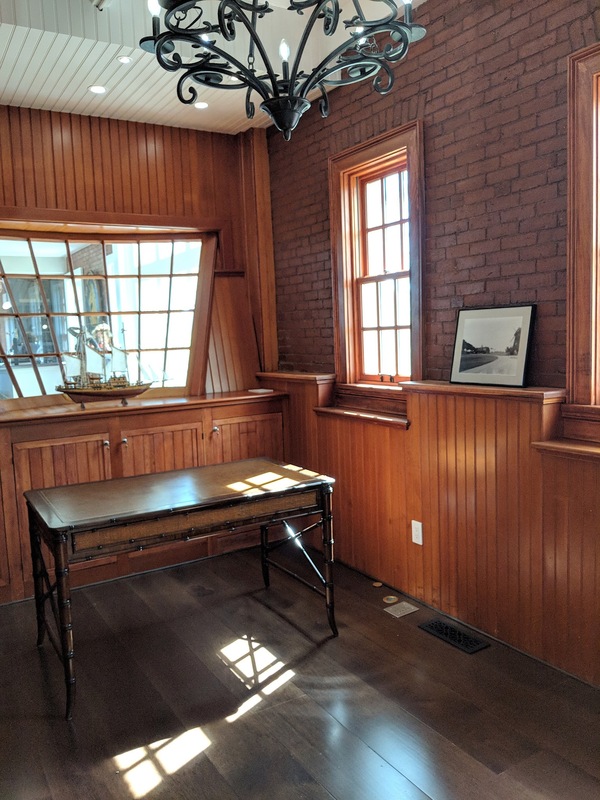 Beebe’s daughter Frances married George J. Fiske, a former business partner of her father, and had two children, of whom we know very little. 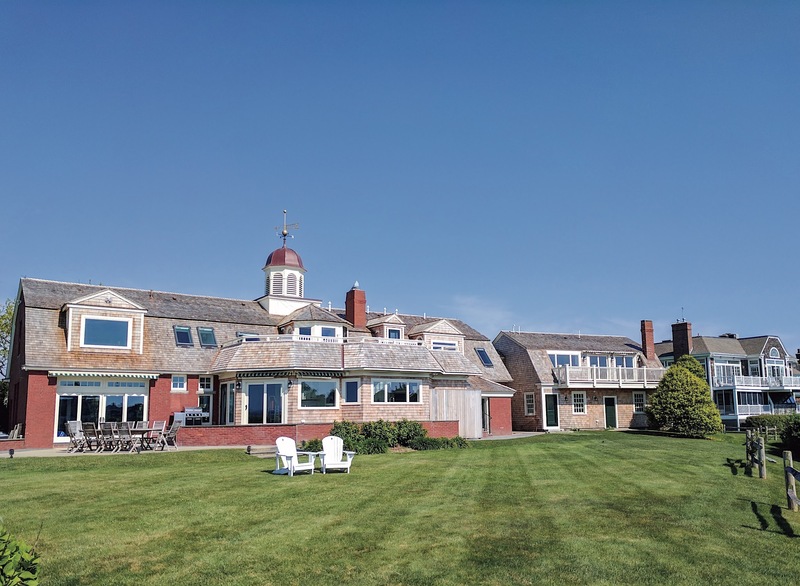 Frances, a widow by 1868, inherited a summer home off Shore Street in Falmouth from her father’s estate. 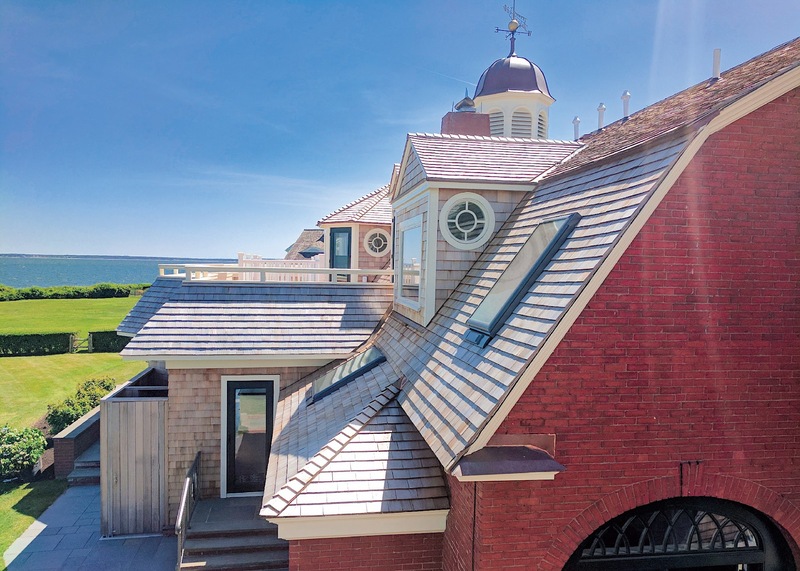 It is the large red shingle-style “cottage” (Waterside) that still fronts Vineyard Sound today. 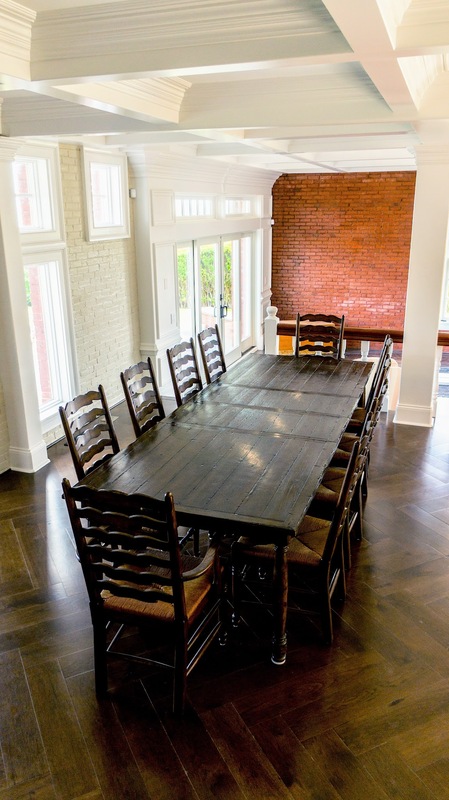 There is no record that she had much else to do with the Beebe family.